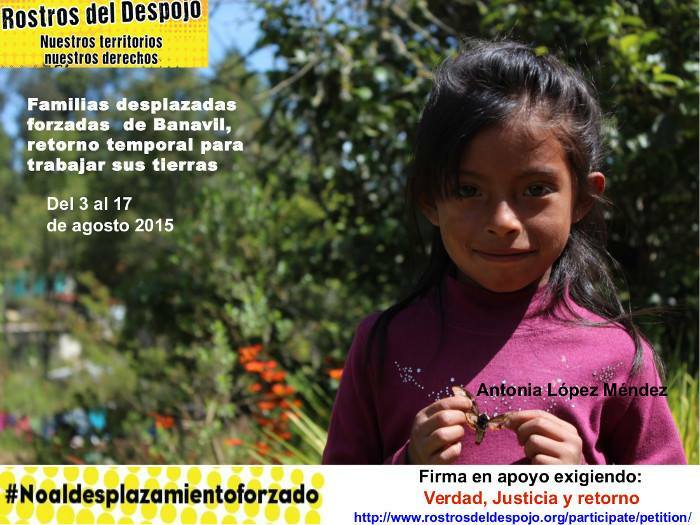 “The children and women have become ill of cough and fever” report Tseltal victims of forced displacement in Chiapas. 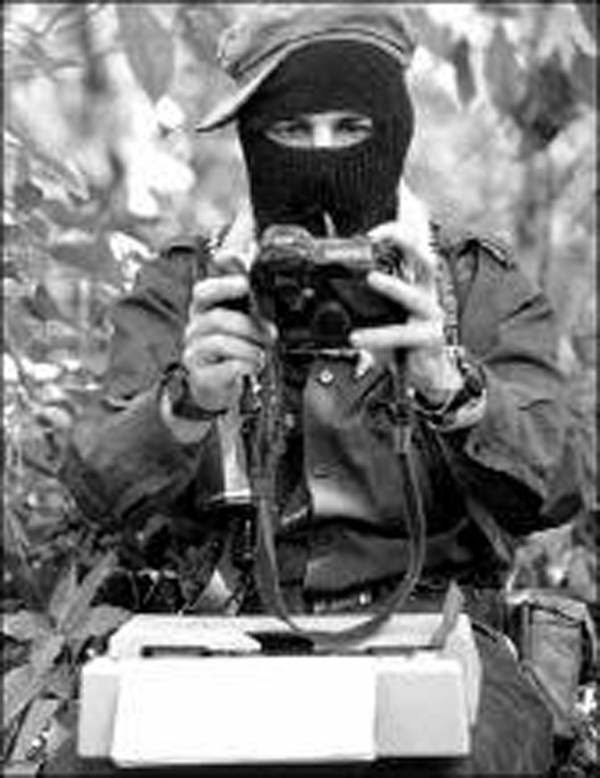 Compañeros, compañeras, we are going to share with you what we have suffered during our provisional return to our community of Banavil. Before the caravan left, on August 3rd, we were informed that representatives of the government such as the Specialized Prosecutor for Indigenous Justice, the delegate of Tenejapa, the Secretary of Indigenous Peoples of Los Altos and others came to say to us that there was no security for our temporary return and how is it that when we were at a meeting in Tuxtla Gutierrez they told us that we can return to Banavil. Last Monday, we arrived here in Banavil where our lands and houses are abandoned and looted, and that day we had no water, it had been cut by the inhabitants of Banavil, we went to fix the water which had been cut and found it covered with a stick, then we saw that the water hose had a lot of pressure, ten minutes later we were going to turn on the water and there was no longer any water and the inhabitants of Banavil had closed it off. And we had to suffer without water for food, to bathe and wash our clothes, up until now we still have no water. And where our lands are in Santa Rosa Township, Tenejapa, we started working the adjacent land and found four of our trees cut down, two trees removed to use as fence posts; and they have cut the wire fence in different parts of our lands. And in other lands, in Santa Rosa we found two trees and two sections of wire had been cut, Also when we started working the edges of our land in Banavil we found the boundaries have been moved, they are invading our land in Banavil. Also the children are sick with the cough and fever and the women have also become ill during our provisonal return. The government has left unpunished the disappearance of our father Alonso López Luna and the displacement. In our lands we are in conditions of insecurity and the government has not been willing to take their responsibility for our displacement and the disappearance of our father Alonso. We thank the organizations that joined us in the caravan on August 3 and those who have supported us demanding justice, truth and return from the federal and state government. Again we invite them to send letters of support to our displaced families Banavil Tenejapa. Therefore we demand truth about the disappearance of our father Alonso López Luna; and punishment of those responsible; and a definitive safe return for our family. 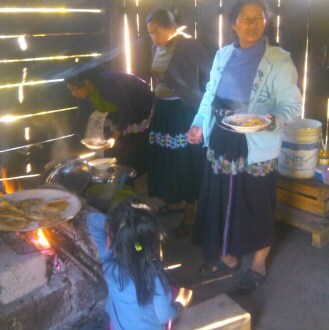 Displaced indigenous community of Banavil, municipality of Tenejapa, Chiapas.